Villa with panoramic views. 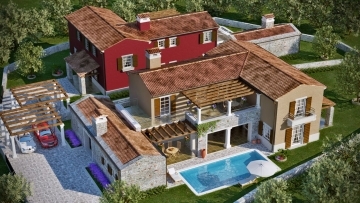 The villa consists of living room with kitchen and dining area, 5 bedrooms, 3 bathrooms and a toilet. It is equipped with air conditioning and central heating.